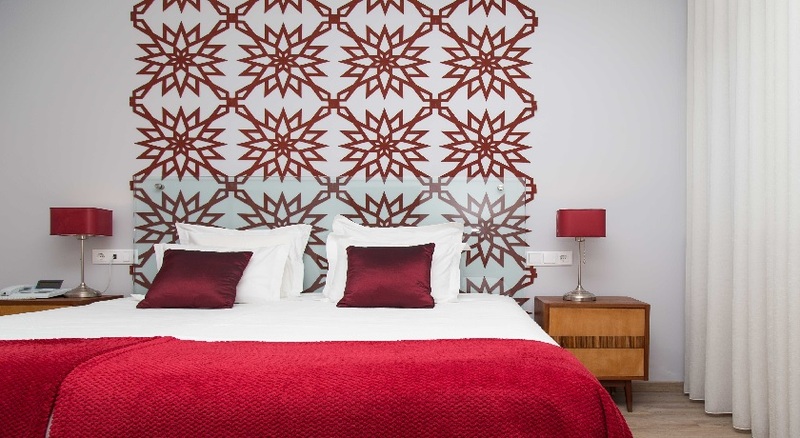 Double or twin room with private bathroom adapted for people with reduced mobility. 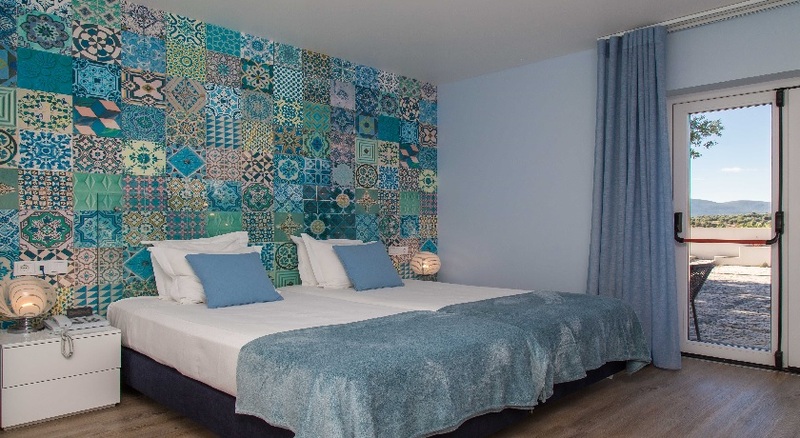 Decorated with themes of the traditional Portuguese Tile with direct acess to the exterior facilities, the room allows parking a car right in front of the bedroom entrance, rendering a more comfortable stay for the guest. Cancellation Policy:Cancellations must be submitted 2 days before check-in date. Any cancellation submitted after this period shall be charged by 30,00% of the total value of the reservation. 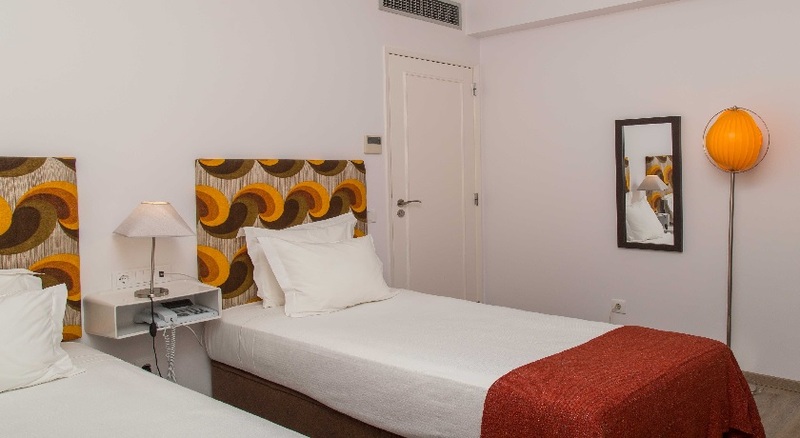 Double or twin room with a private bathroom with shower. 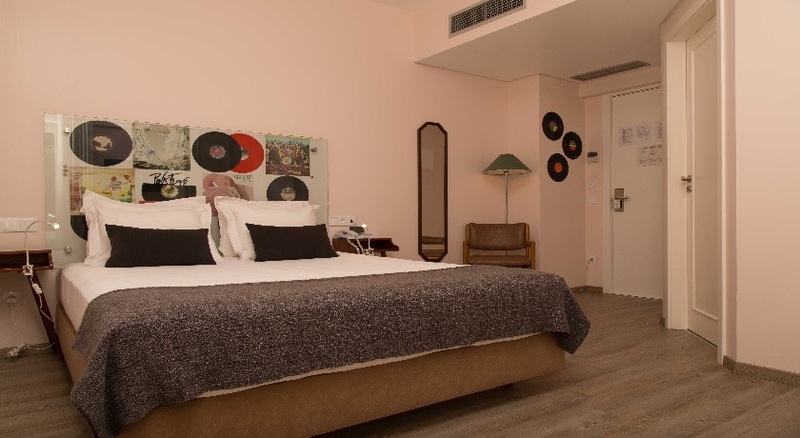 The room is very spacious and has a simple and pretty decoration which will make you travel in time to the 60s, thanks to the furniture which was designed in that decade of the last century. The wall has an innovative and typically Portuguese decoration, made of cork. 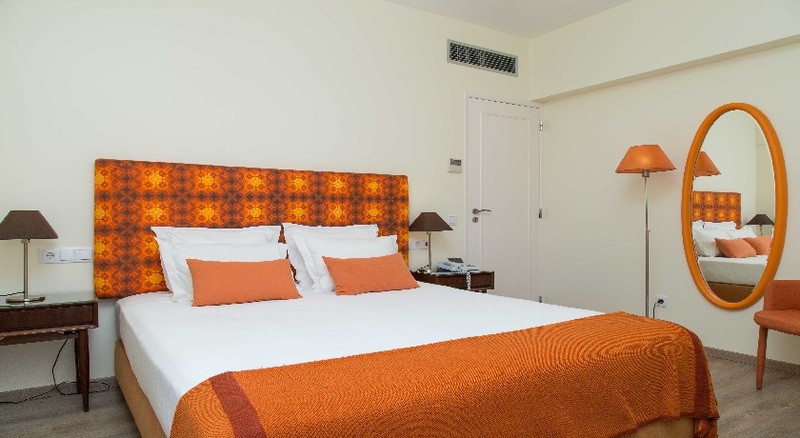 Room with a double bed overlooking the hotel garden. The decoration will make you travel in time to the sound of the 70s music. Double or twin room overlooking the garden. Each piece of furniture tells a story we will gladly share with you. Room with two twin beds. The private toilet is equipped with a shower, the balcony has a beautiful view of the Serra de Aire. The room is full of colours and shapes bringing us memories back from the 70s - light fixtures, fabrics and pieces of furniture. 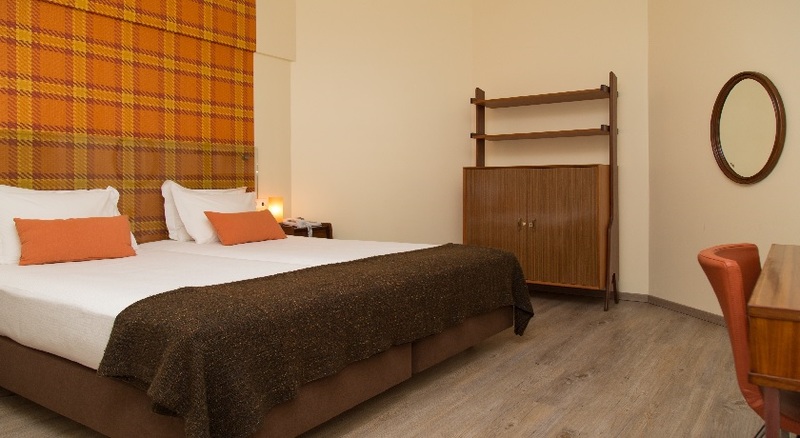 Double or twin room with a balcony and a view of the Serra de Aire. Private toilet with a shower and hydraulic tiles on wall, typically from the 70s. 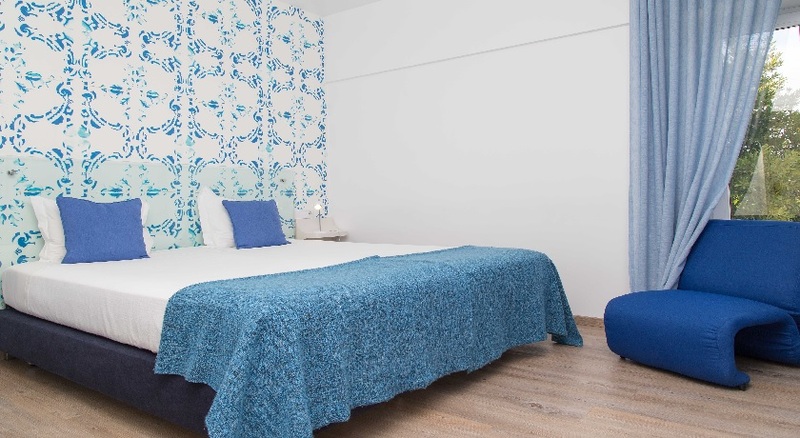 In shades of blue and white, the room's decoration also alludes to the traditional Portuguese tiles. Double or twin room with a private toilet and a shower. The balcony has a fantastic view of the Serra de Aire. 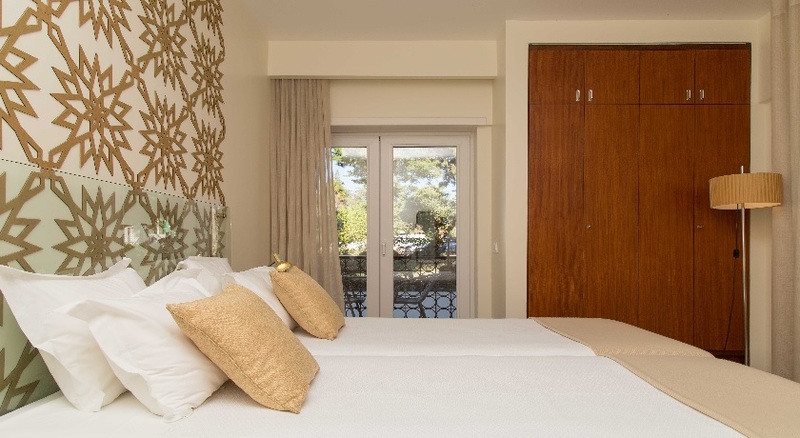 Decorated in golden shades and with great sun exposure, guests will experience a comfortable stay, as well as a journey through history, since several pieces of furniture belong to the ancient and famous Portuguese brand Olaio. Room with double bed, toilet with a bathtub and a minibar, allowing a higher comfort. The room has a balcony with a view of the Serra de Aire, where you can relax and enjoy the sunset. Decorated in shades of orange, it has several unique pieces of furniture and fabrics from the 70s - bedside tables in sucupira, an Olaio desk and other vintage components. Spacious double or twin room with a private toilet and a bathtub. 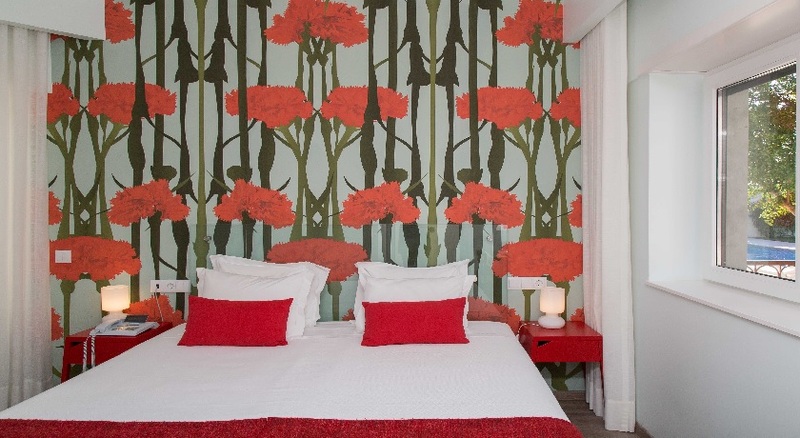 Decorated with the iconic Portuguese carnation, the room has a big balcony with direct acess to the swimming pool. Comfortable and convenient for those summer days when all you really want is to seize the sun and the swimming pool.